Finding quality saw blades for your industrial operation in Kansas City, Wichita, Dallas, Fort Worth, or another nearby city is as easy as turning to the professionals at Wm. F. Hurst Co., LLC. 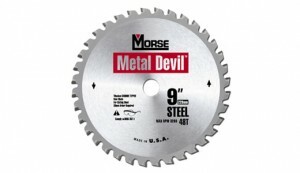 We have provided high-performance cutting tools and other industrial supplies to businesses in the Midwest for more than 50 years, and our comprehensive selection of industrial tools includes a variety of saw blades, such as carbide tipped and high-speed steel options in several dimensions. All of the saw blades in our inventory come from reputable brands like Milwaukee, Generic USA, M K Morse, Quality Import, Starrett, DeWalt, and Rock River Tool, so you can trust that any saw blade you purchase from Wm. F. Hurst will be durable and dependable. In addition to saw blades, we offer a wide selection of other high-speed steel, indexable carbide, and solid carbide cutting tools, including drills, end mills, and taps. Furthermore, we offer assembly tools and complete fastening systems, coated and bonded abrasives, and a variety of other industrial supplies. Our representatives have in-depth knowledge of all the products we offer and expertise across a wide range of industries. They can be trusted to recommend the proper tools for a wide variety of applications, helping our customers improve processes and reduce overall costs in their operations. If you would like to receive more information about our selection of saw blades or any of the other industrial supplies we offer, contact us today. Wm. F. Hurst is an industrial supply company that proudly serves businesses in Kansas City, Wichita, Dallas, Fort Worth, and other surrounding cities in the Midwest.